Pulling pranks with the NBA’s hottest rising star through an interactive experience. 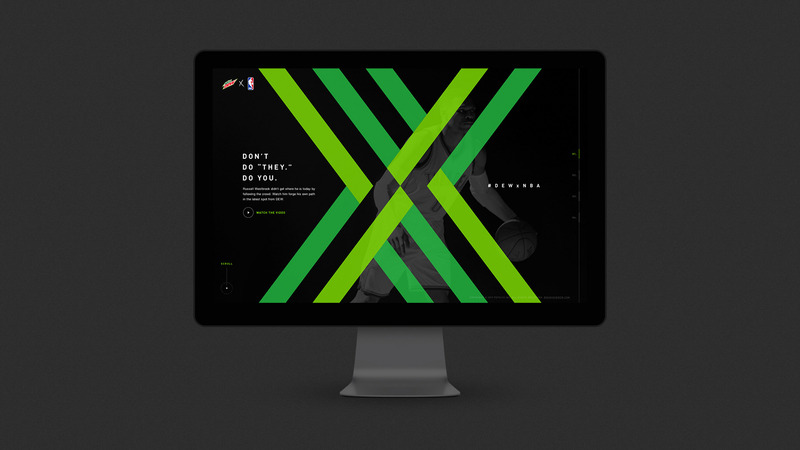 How do generate mass awareness for MTN DEW’s partnership with the NBA? 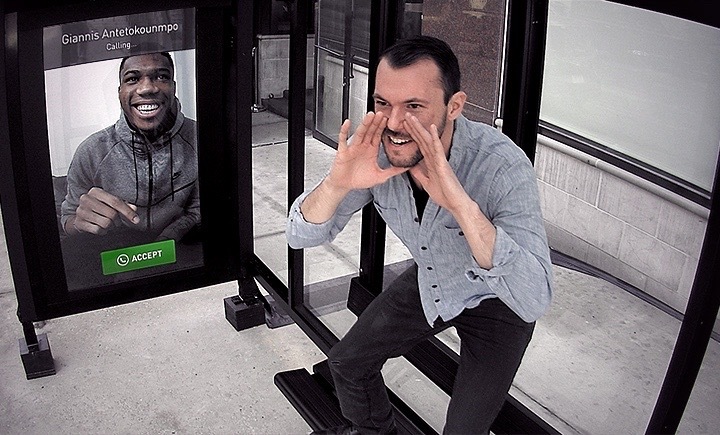 Location, Location, Location: We built the bus stop from scratch, which included a 75-inch screen, as well as hidden cameras and microphones to capture the prank. Bucks Fans: Giannis took his prank one step further by surprising fans in person. The Answer: We also pranked Giannis by having his all-time basketball hero, Allen Iverson, call him directly. DEWxNBA Hub: DEW and the NBA teamed up again for the 2017 season and we built them a digital hub to house their official partnership, highlight their athletes and showcase their collaborations. Three-City Takeover: To celebrate the start of the season, we placed 40-foot-tall branded basketball installations around major NBA cities for fan events. Sitting and waiting for the bus is as good of a time as any to make a couple phone calls and catch up with friends. But what if the person on the other end of the line wasn’t just any friend, but one of the world’s greatest basketball players? 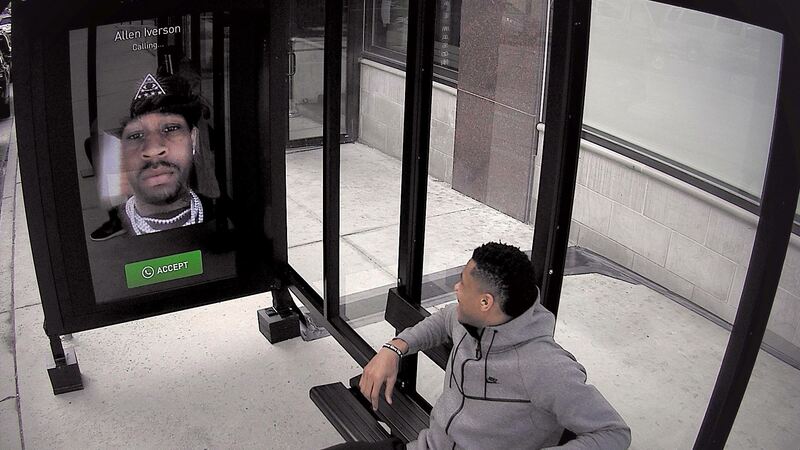 To celebrate MTN DEW’s partnership with the NBA, we turned one panel of a Milwaukee bus shelter into an interactive touchscreen experience that gets fans closer than ever to one of the hottest players in the league—Giannis Antetokounmpo. As people sat inside the shelter, our interactive touchscreen came to life, revealing a phone call from local hero Giannis. Unsuspecting fans were caught completely off guard, unsure whether this was just a clever ad or an actual conversation with their favorite player. After several virtual calls, Giannis eventually showed up in person, creating an absolutely unforgettable surprise for a couple of his biggest fans. We then flipped the script and pranked Giannis by having his childhood hero, Allen Iverson, call him instead. The prank was part of a larger DEWxNBA campaign. 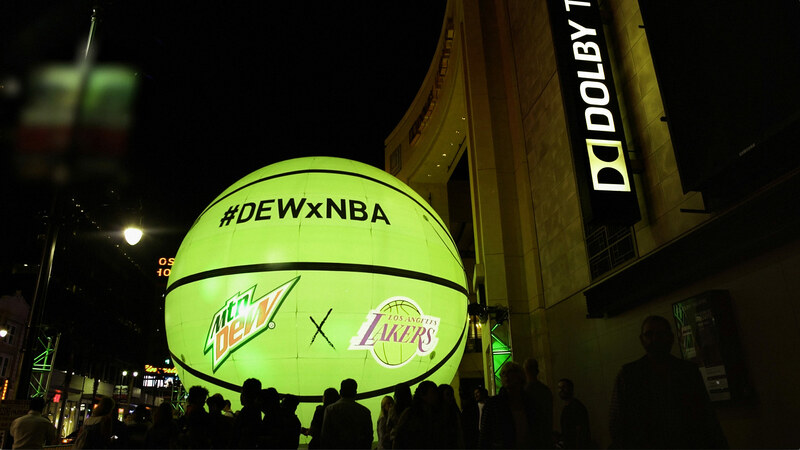 We first helped DEW kick off the NBA season with something unexpected—40-foot-tall glowing basketballs. In the days leading up to Tip-Off, we placed giant basketball installations in three cities that are home to some of the country’s biggest NBA fans: Los Angeles, Miami and Cleveland. To house DEW’s official partnership, we also built a digital hub where fans can learn more about All-Star players, view the latest TVC and get a first look at collaborations with cultural icons. 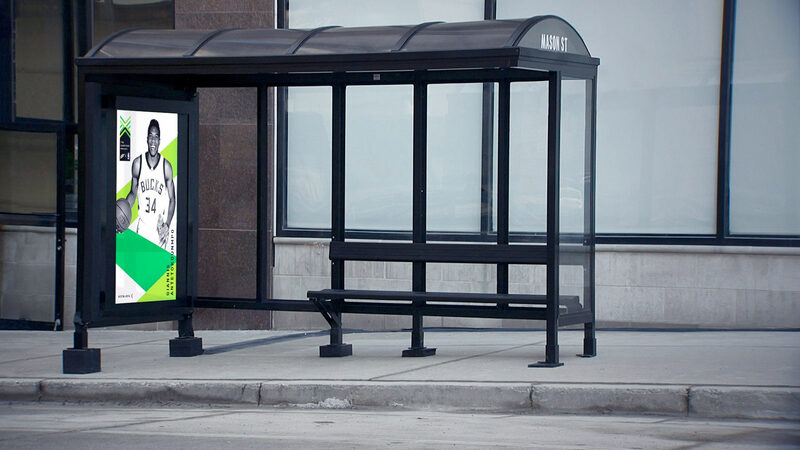 We captured the joy, surprise and best reactions from real Milwaukee fans and released the finished Bus Shelter video in celebration of April Fool’s Day to capitalize on the pranking spirit of the day. The prank earned 165MM impressions, 8.79MM video views across channels and over 100 media placements to date. Meanwhile, media coverage around the kick-off three-city takeover experience garnered nearly 200MM media impressions.